Tired of counting sheep? This Saturday night from 12-2 a.m. tune in for our Sleep Medicine Special hosted by Dr. Scott Miller with guest, Dr. Pradeep Sinha of the Atlanta Institute for ENT. 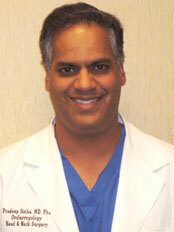 The doctors will discuss a variety of sleep problems from sleep apnea to insomnia.